As a result of the attacks on September 11, 2001 there are now extra safety regulations and in connection with these, all departing passengers are requested to timely report at the check-in counters which are located in the departure halls at the airport. Paramaribo, Georgetown, Port of Spain, Curacao, Aruba, Miami, Belem, Cayenne, Miami-Orlando Starts 3 hours and ends 1 hour before departure time of flight. 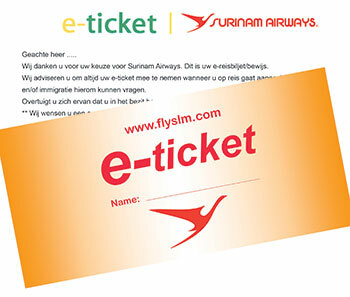 For Business Class and Online Check-In the check-In ends 1.30 hours before departure of the flight. Paramaribo – Amsterdam v.v. Starts 5 hours and ends 2 hours before departure time of flight. If you want to check in late, it’s possible that the counters will be already closed and then you’ll miss your flight. Costs arising from this have to be borne by you.